Use a bottle cap to give your small lizard some water! Get a large bottle plastic cap. Wash the cap thoroughly to remove any residue from the contents of the container. 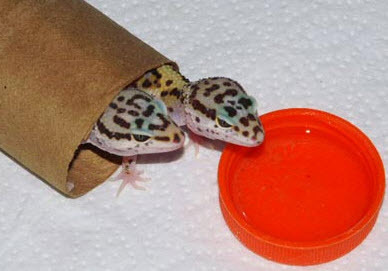 Fill the cap with water and set it in your lizard’s cage.